At one point in his contribution to The Tank, Paul Grimstad quotes a sentence from an email Todd Cronan sent him—“I just don’t know what ‘experience’ means when you say it matters in art, except to say it matters if it’s supposed to matter, which just is meaning”—and replies to Cronan that “experience as the condition under which any art becomes available at all…is not properly describable as more or less relevant, for without it there is nothing.” I understand Grimstad to mean that you can’t have any relation to a work of art (or to a lot of other things that aren’t works of art) unless you have an experience of it. What I don’t understand is why he thinks this is a response to the point Cronan is making, much less a response to my account of the relation between meaning and experience (he calls it the “sundering” of the one from the other) in The Shape of the Signifier (or anywhere else). This opposition is worth calling attention to because (or so I argue) many theories of interpretation (which argue e.g. that the meaning of a text changes over time or that it is different for different readers or groups of readers) depend on the true idea that people do indeed have different experiences of texts but then (mistakenly, in my view) equate those differences to differences of meaning. So if we accept the idea that the meaning of a text can’t be identified with your experience of the text as such but only with the experience you’re supposed to have, then we will no longer think that a text can have more than one meaning. Readers of Shape will know that I try to show that many other things are entailed by this argument (as they are by the refusal of it) but, for the present purpose, it doesn’t really matter whether you buy all that. What matters is just that no one is imagining that the meaning of a work of art is separable from your experience of it. Any more than, to pick up a similar complaint, made recently by Jonathan Flatley (writing in Representations),3 anyone is arguing that critical attention to a work of art (i.e. understanding it) requires us to “exile affect from our critical practice” (139). We “all know that we have feelings when we encounter a work of art,” Flatley says, but he also says that “the team at nonsite.org”4 fears that “renewed attention” to these feelings “signals the end” of “rational thought” (138). If, however, the first thing is true (and it is), why should anyone (including the various nonsites mentioned by Flatley) worry about “whether such feelings should be a concern of critics,” much less about whether “rational thought” is on the way out? The first point is that they don’t. None of us thinks there’s the slightest problem with the fact that we have feelings when we encounter works of art (and, obviously, not just works of art). Hence none of us has the slightest desire “to exile” “the experience of reading and the feelings it produces” “from our critical practices.” In fact, as Ruth Leys shows, it’s affect theorists—seeking to identify an affect program that runs prior to and/or independent of cognition—who want to separate affect from interpretation. The point of what Flatley calls her “syllogisms” is that you can’t separate them, not that you should. Which is not to say that it’s always easy or even possible to figure out which ones are which. Flatley thinks that the critique of affect in the texts he cites is a mark of the persisting “critical anxiety about relativism, impressionism, and subjectivism and the desire to establish a stable ground on which to make our assertions about what literature is and what it means” (139). Basically, this is the exact opposite of the truth. If, to put the point in Flatley’s terms, we disagree about how a “given text” “seeks to affect its audiences” (149), whatever anxieties such disagreement might produce will hardly be alleviated by insisting, as I have, on the difference between what we’re supposed to feel and whatever we may in fact feel. The point of that insistence is not to resolve disagreement but to explain it;6 it’s not to establish a stable ground for our interpretations, it’s just to show what it means for them to be interpretations. And here, I guess, is where the “rational thought” part comes in. If you could imagine a world where people made no distinction between the responses they were supposed to have and the ones they actually did have, then you wouldn’t even have the concept “joke”—you’d just have things that seemed (to some people, sometimes) funny, and things that didn’t. And it’s not just that you wouldn’t have jokes: you wouldn’t have commands, which, to be commands, must demand to be responded to in ways that are different from jokes. And you wouldn’t have questions, you wouldn’t have newspaper reports, you wouldn’t have novels, you wouldn’t have anything that was supposed to be responded to in a way that was specific to it. In other words, if you could imagine a world where the differences in people’s affective responses never registered disagreements (where there were no feelings or experiences you were supposed to have and could therefore fail to have), then you would have imagined a world where there were no such things as interpretations because there were no meanings to be interpreted. Flatley seems to think that arguments like this, in defense of the normativity of meaning (i.e. in defense of the idea that interpretations, in order to be interpretations, must be either right or wrong), are motivated by the fear of having to live in a world where the difference between right and wrong has disappeared. But it’s the difficulty of imagining such a world not the fear of living in it that’s the problem. How do we imagine responding to a text without responding to what it seems to us to mean? What are we responding to? And how can we have an account (even a mistaken one) of what something does mean without also, ipso facto, having some account of what it doesn’t mean? As literary theory, of course, all this sounds—and is meant to sound—pretty deflationary, a description of what we do rather than a recommendation about how to do it. Whether or not one is convinced by the particulars of Flatley’s account of how writers read and revise the mood of their readers, he is (indeed must be) exactly right when he says that to understand “any” text “that seeks to affect its audience” (149), we need to know how it’s trying to produce the shifts in mood that interest him and what those shifts are supposed to be. But that’s only because understanding any text is nothing but understanding whatever it’s trying to do and whatever our response is supposed to be. Which suggests not only that it would be puzzling for a critical practice to declare itself against affect but that it’s equally puzzling to think of any critical practice as being for affect—to think, for example, of “reading for mood” as “a mode of reading.” There are no such things as modes of reading—there’s only trying to understand what a text is doing. Thus, when Flatley provides an “example” of reading for mood, it’s not really what the reading does that matters, it’s what the text is trying to do. Claudia Rankine’s Citizen, he says, with its attention to the “events that constitute a white supremacist social order” “has certainly resonated with the mood of many readers” (152). And Flatley is not alone in thinking of Citizen as a text that makes a particular appeal to feeling. Indeed, Ken Warren has suggested that the power of Rankine’s poems consists in “their capacity to keep in the foreground the idea of injustice as a matter of how we feel about each other and how we make each other feel, and to keep our attention away from economic injustice, which is not at all rooted in our feelings toward each other.”7 Here the question of feeling is not a theoretical one (about what we should be reading for) but an empirical one (about what Rankine is trying to do). And it’s also a political one—both about what it means to think of American society as “a white supremacist social order,” and about the role played by feeling itself in a politics that constitutes white supremacy as the problem. Because it’s clearly true that feeling is crucial to white supremacy. In fact, homophobia, transphobia, sexism, misogyny, Islamophobia, anti-Semitism and other forms of racism are all unimaginable without the feelings that play an indispensable role in constituting them. 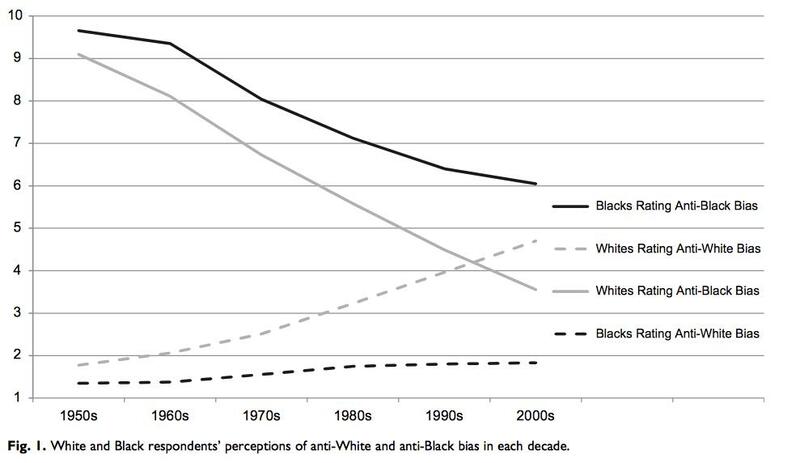 And opposition to them—the commitment to anti-discrimination—is unimaginable except as the effort at least to correct for those feelings and ideally to make us care about each other in a way that George Bush (let alone Donald Trump) was famously said not to “care about black people.” But what Warren means when he says that economic injustice is not rooted in our feelings toward each other is that it doesn’t matter how much capital cares about labor. Labor is not the victim of capital’s prejudice. No amount of correction for bias (implicit or explicit) can affect the necessity for capital to pay labor less than the value of what labor produces. Hence from Warren’s standpoint, and from mine, the current elevation of anti-discrimination to the centerpiece of social justice8 and the tendency of writers like Flatley to celebrate the “potentially political effects of aesthetic practices” (137) that render us “‘ablaze with care’” (153) looks more like a defense of the current economic order than a critique of it.9 As if what economic justice required was for blacks and whites to be equally exploited rather than for no one to be exploited. 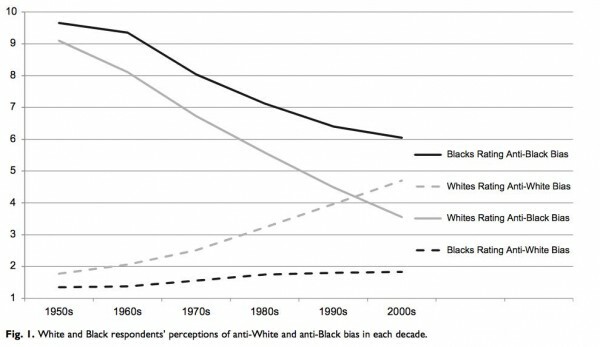 But the main point of this response is not to argue for what Adolph Reed (to invoke yet another nonsite) has called the limits of anti-racism.10 It has been, first, to suggest that what’s at stake in the distinction between meaning and experience has always been the distinction between two kinds of experiences, the ones you’re meant to have and the ones you aren’t. And this is not Grimstad’s distinction “between everyday experience and the experience of art.”11 No doubt the experiences of looking at a beautiful sunset and looking at a painting of a beautiful sunset and trying to read the road signs in front of you while driving into a beautiful sunset are different. But the applicability of the questions what does it mean and what are we meant to notice, doesn’t line up with the difference between art and the everyday. And, second, it has been that reading for mood works the same way. Affect matters insofar as it’s supposed to matter; it’s recognizing the intended affective response not actually having it that counts for understanding the work. We can agree to disagree on the political meaning of the mood Citizen seeks to produce but reading for mood is just reading.